Welcome to the Super 8 Latham/Albany, Troy Area, where you get more than you expect. We are conveniently located off I-87 Northway and just 4 miles from Albany International Airport. Surrounded by leading restaurants, shopping malls, colleges and corporate offices The Super 8 offers a convenient location to access all your business/leisure needs in the Capital District. 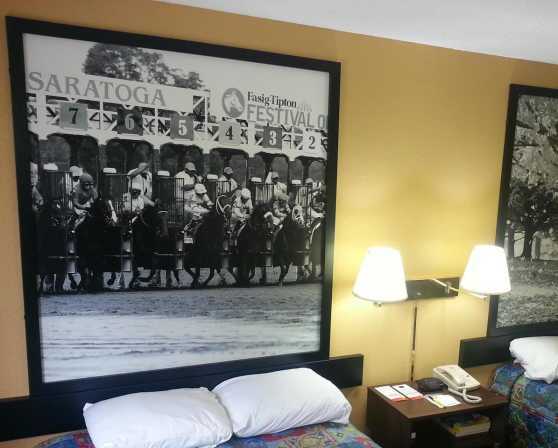 Whether you want to bet on the thoroughbreds at Saratoga Race Course or visit one of the many museums in the area, the Super 8 Latham is your choice motel. 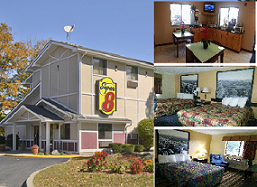 Our Hotel offers our guests Free High Speed Wireless Internet, Free USA Today Newspapers. We offer SuperStart Breakfast as well. Our rooms feature Irons and Ironing boards, Hair Dryers, Alarm Clock Radios and Cable TV with ESPNs, CNN, HBO and HBO Plus. For the busy corporate traveler we offer King Executive Suites with Recliners and Microwaves-Fridges. Our friendly professional staff is available to serve you 24 hours a day. Sorry no Pets Allowed.